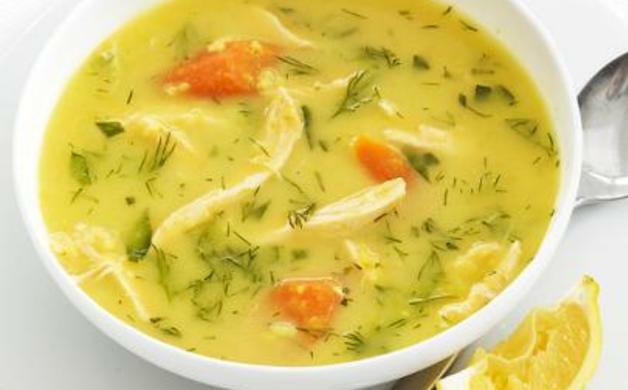 Beat the winter chill with these bone-warming soups like Carrot-Ginger Soup, Curried Chicken, Shrimp Chowder and more. 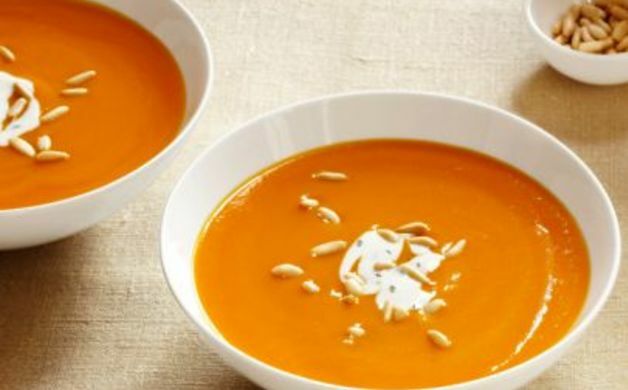 A creamy thick soup, rich with bold flavors, creates a full taste perfect for any occasion. 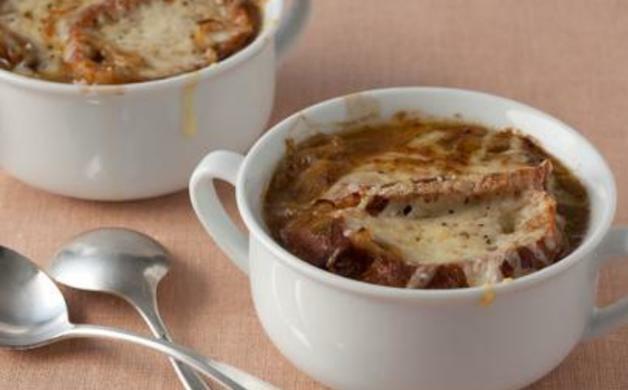 Cheese, bread and onions are the hallmark of this soup. Follow this easy recipe to a comforting soup that will leave you full and feeling satisfied. 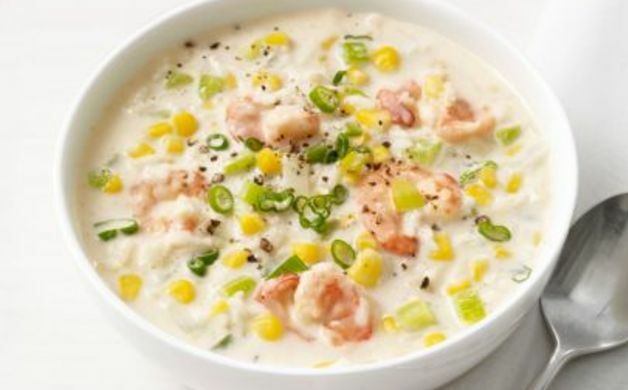 Creamy (but still healthy thanks to reduced-fat milk), this soup is filled with meaty shrimp, rice, corn, and celery. 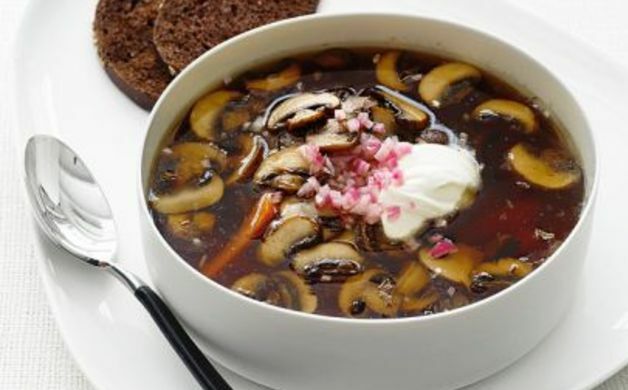 Instead of finishing this soup with heavy cream (unnecessary fat), this recipe uses a touch of Creme Fraiche to garnish. 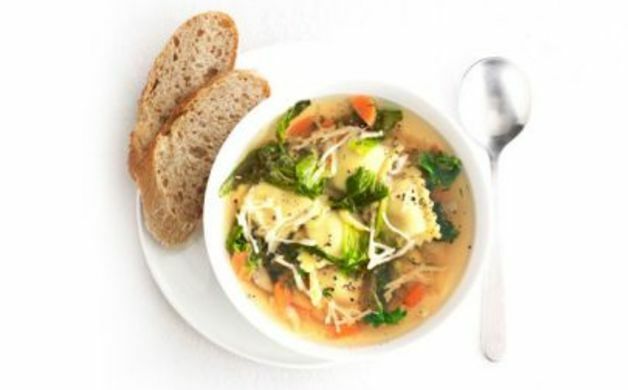 Store bought ravioli fills out this simple veggie soup, which can be made with vegetable broth for an all vegetarian meal or hearty beef broth for added flavor. A fun twist on traditional flavors by adding curry powder and fresh herbs.